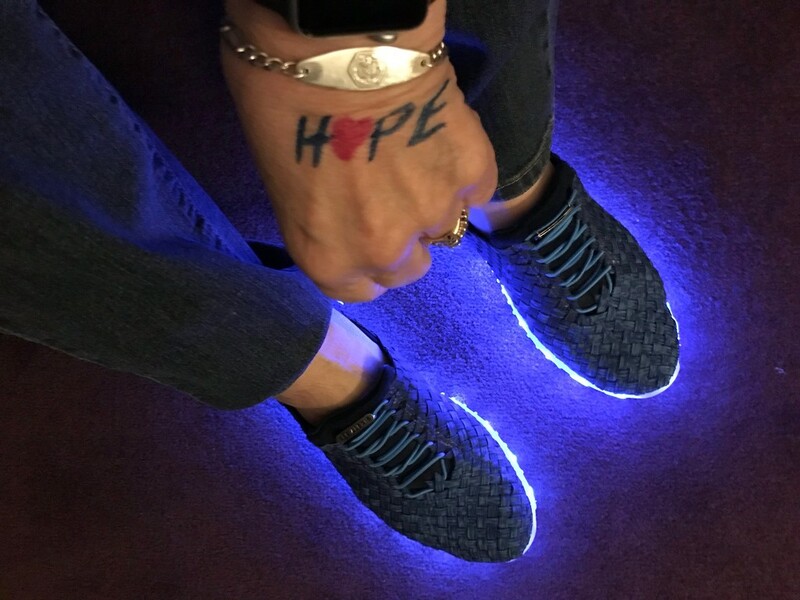 At the request of my grand-niece ( @grammyn granddaughter), I wrote H💖PE on my hand and wore blue... right down to the blue lights on my shoes! Happy Birthday Marilyn!! I hope the year ahead is a happy and healthy one and full of all the things that make you smile! i want a pair of shoes like that! happy birthday!